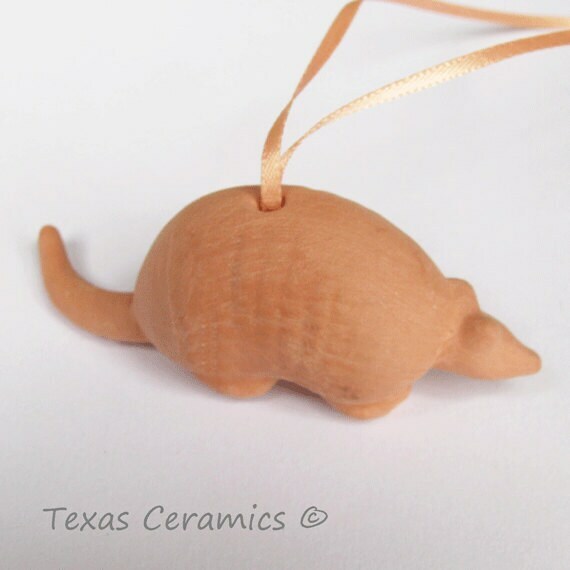 This set of 3 Texas Armadillo Ornament is crafted from Terra Cotta ceramic clay and kiln fired. 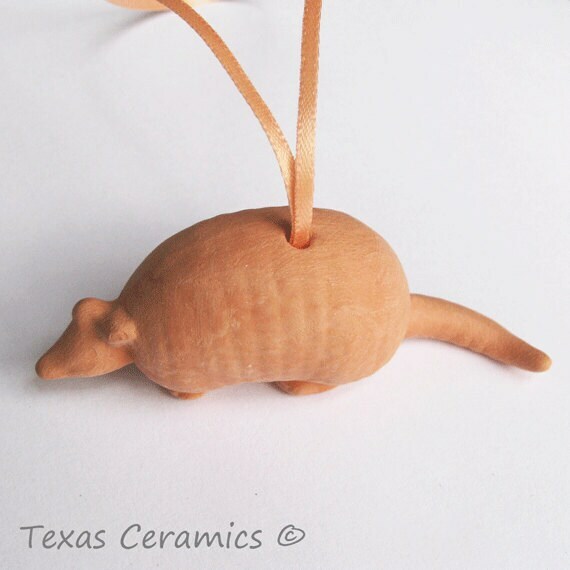 This little armadillo ornament will make a great addition to any Christmas Tree or even a wreath for your front door. 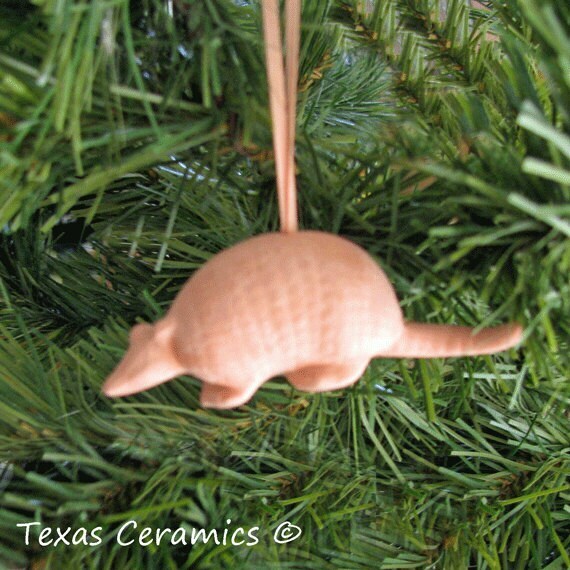 Each armadillo ornament is ready to hang. • 1 1/8 inch tall. 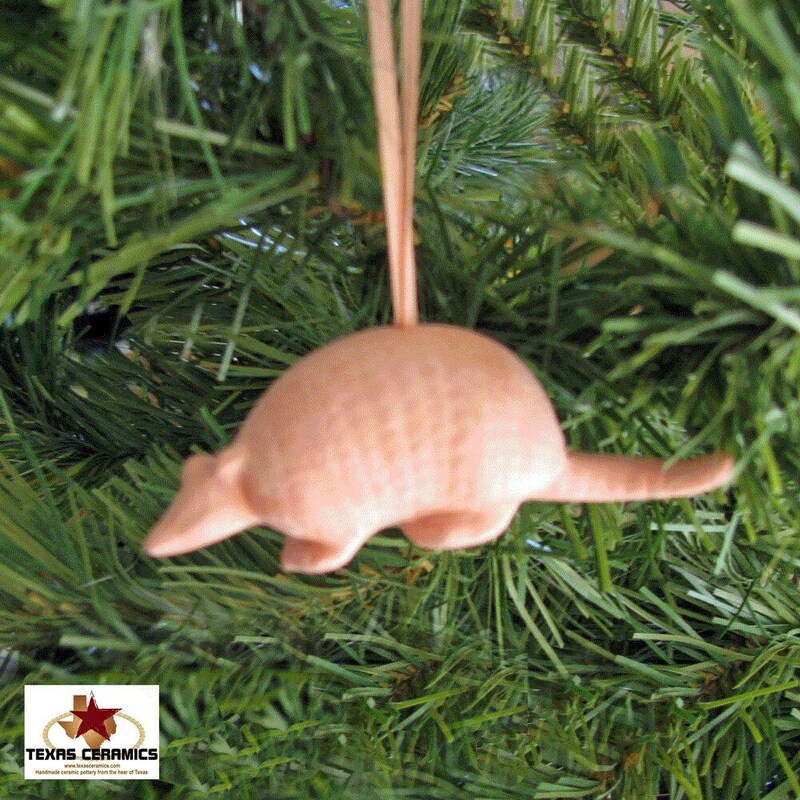 These Texas Armadillo ornament is a must have for any Texan. *Ribbon color may vary from photo. So cute! came packaged well and exactly as pictured. 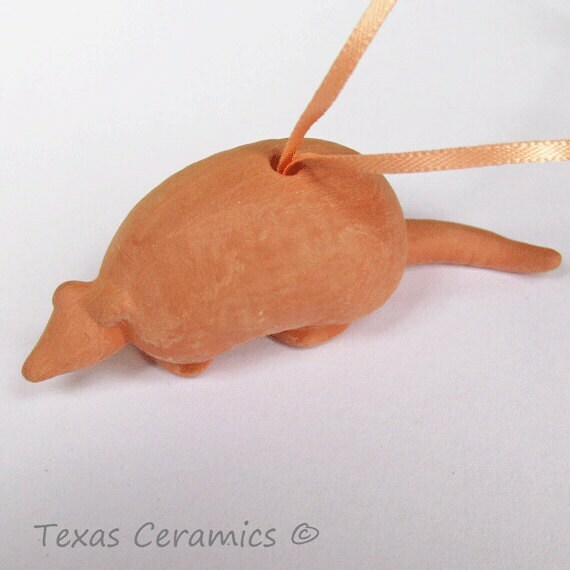 Great price for a set of three ornaments and will look so cute on my tree. Thank you!